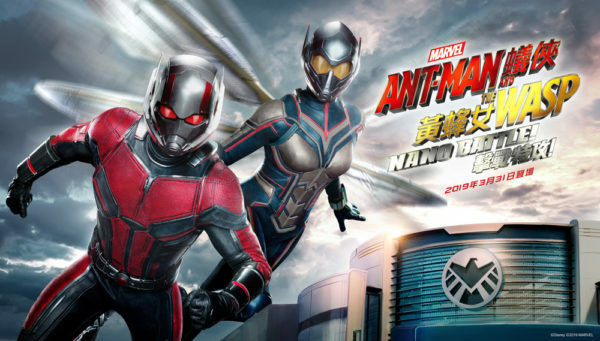 HONG KONG (Jan. 8, 2019) – Hong Kong Disneyland Resort (HKDL) today revealed that its newest Marvel attraction, Ant-Man and The Wasp: Nano Battle!, will open on March 31, 2019. It will be the world’s first attraction featuring Ant-Man and The Wasp, as well as the first Marvel-themed attraction featuring a female Super Hero as a lead character. The long-anticipated launch marks HKDL’s second Marvel-themed attraction and the continued development of an ultimate hub for Marvel Super Hero action in the region, as part of the multi-year expansion.